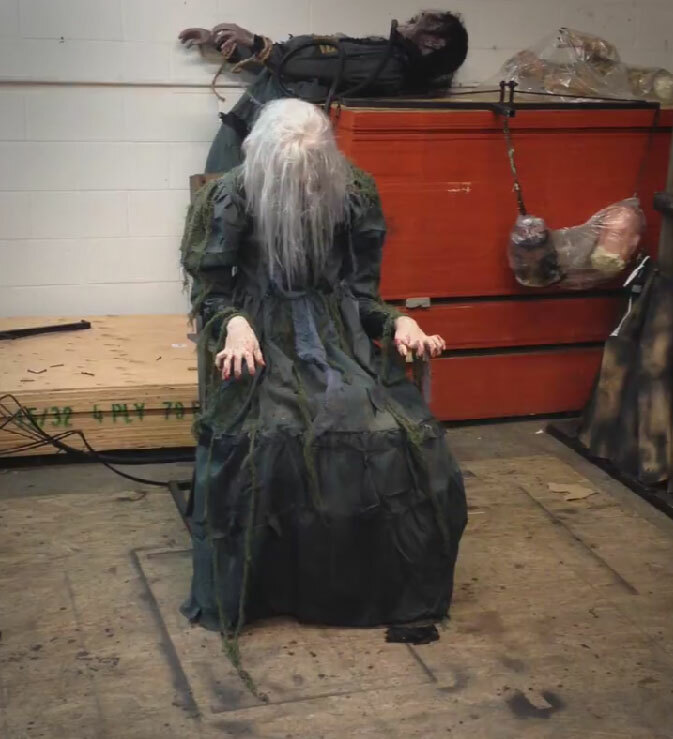 The chair screamer is a creepy old mental patient figure that sits in a wheelchair and as you walk up to it will leap out if it's chair, scream at you, flail around, and most likely cause you to soil your underpants. 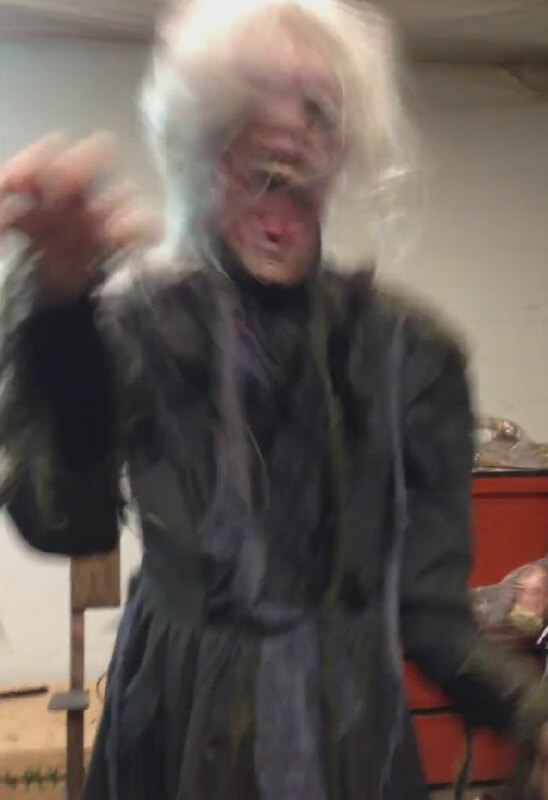 Perfect for setting outside your house on Halloween to scare the little children away, scaring them for life, fearful of old ladies, never to step foot in an old person home again, but don't be surprised if you find a couple dozen eggs on the side of your house the next morning. 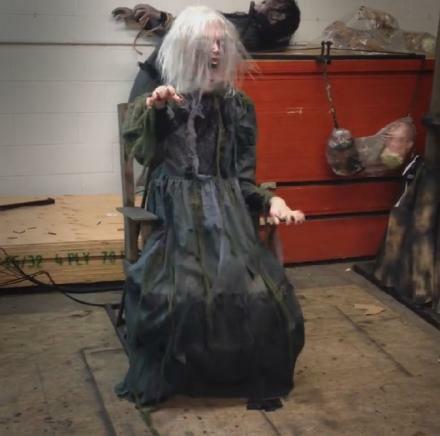 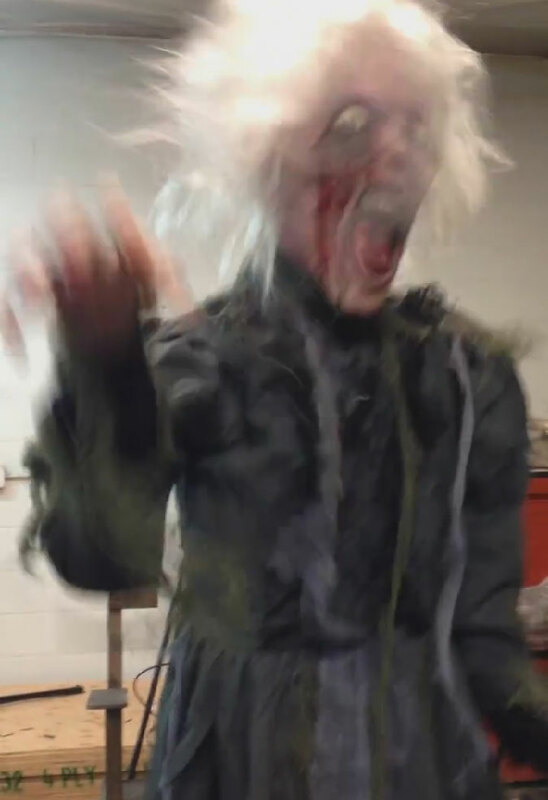 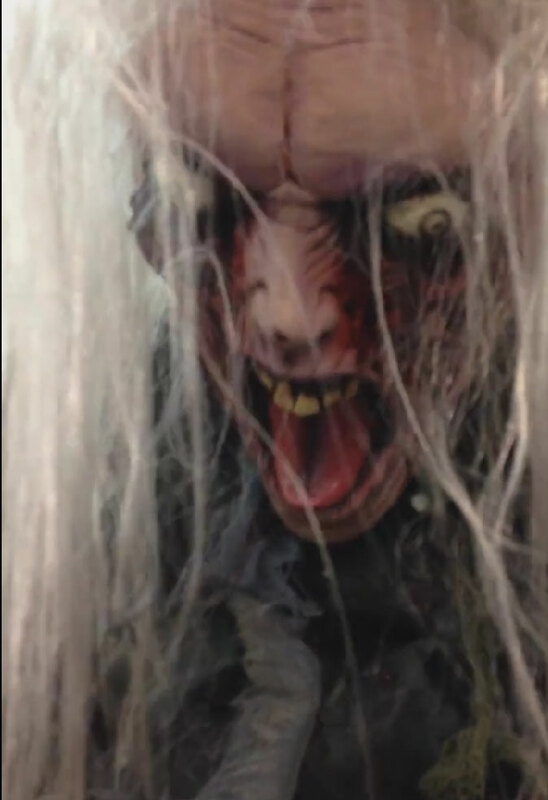 Made by Poison Props a maker of high-quality Halloween props, the Old Lady Chair Screamer is triggered either by motion sensor as people approach it, or by a remote that you can trigger yourself. 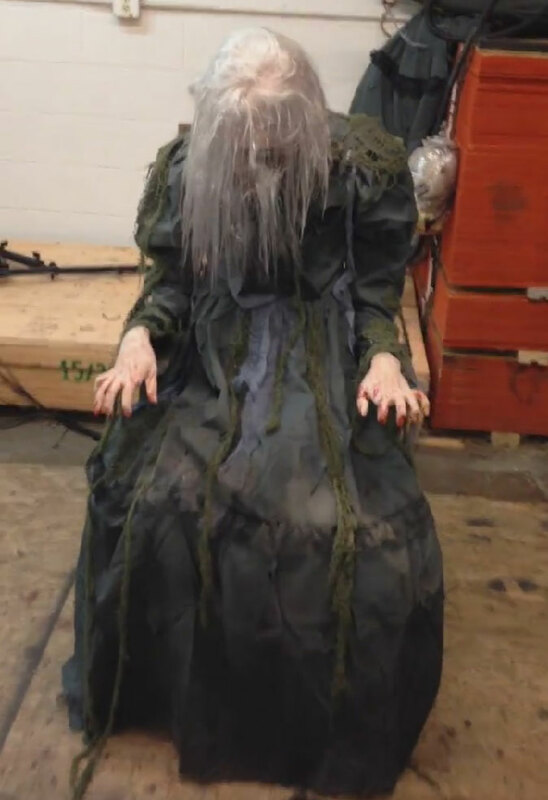 The Chair Screamer is interchangeable with any characters you purchase from Poison Props, extends to a length of 6 feet out from the wheelchair, weighs 210 lbs, and shipping will cost you $295.00. 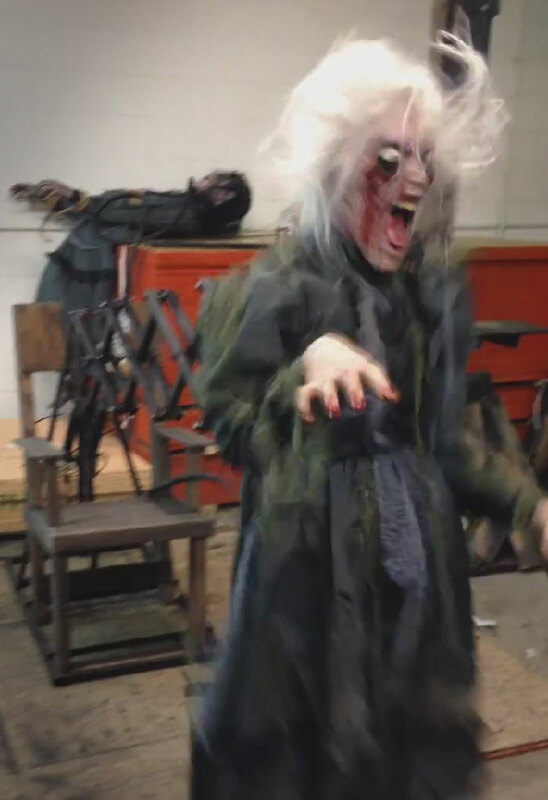 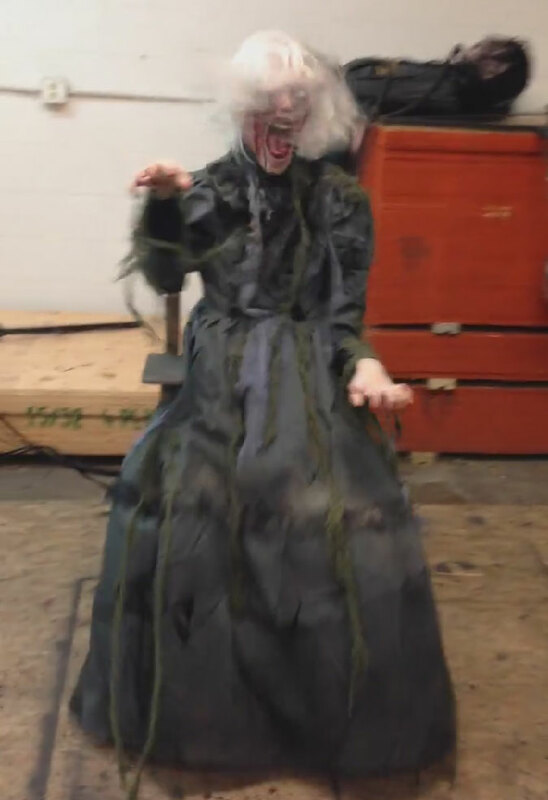 Check out the crazy lady chair screamer in action via the video below.